LOS ANGELES, SEPTEMBER 7, 2016 – RTW, a leading vendor of visual audio meters and monitoring devices for professional broadcast, production, post production and quality control, will debut its brand new MM3 MusicMeter to the U.S. market at AES 2016 (Avid Pavilion, Booth 203). This new addition will give users the ability to implement loudness metering into music-based applications with flexibility and ease. The MM3 MusicMeter features the superior accuracy that RTW is known for and provides the user with vectorscope, PPM/TruePeak or VU, real-time analyzers, Loudness vs. Time charts, along with numerical and graphical loudness display and zoom modes, all with a simple swipe of the screen. With the ability to view the display in both vertical and horizontal modes, the MM3 MusicMeter can fit into any workflow. In addition to the available features, the MM3 supports audio inputs including analog, SPDIF and USB, while an SPDIF output delivers a buffered stereo signal or downmix from a 5.1 stream. 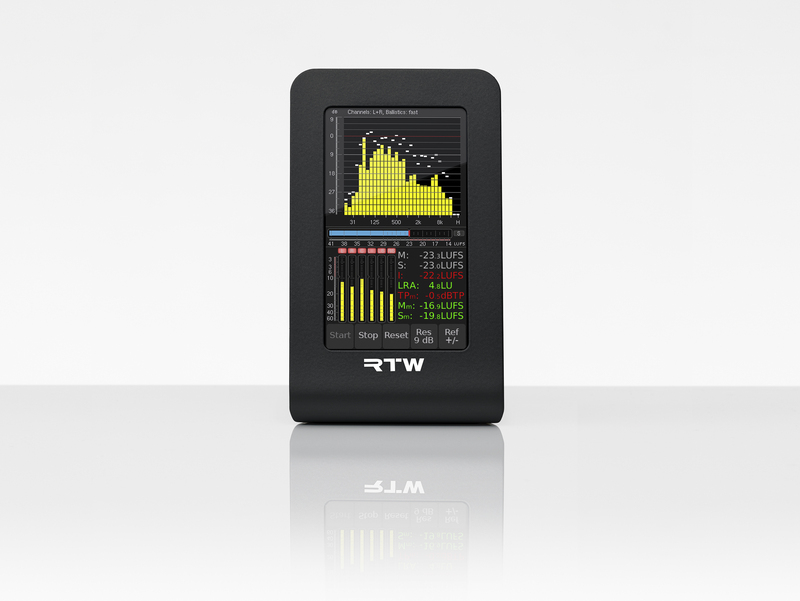 RTW’s MM3 MusicMeter is compatible with the company’s well-known USB Connect software package, which is available at no cost from the company’s website, www.rtw.com. The USB Connect software equips its user with a direct audio signal transfer and additional control from within a DAW environment, further expanding the capabilities of the MM3. RTW’s MM3 MusicMeter is currently shipping through a limited number of exclusive partners and online at RTW’s worldwide webshop, located at www.rtw.com.